As happens so often in politics, the complex issue of how to halt Iran’s nuclear ambitions has been diluted into two simplistic, opposing viewpoints. A decade of negotiations and diplomatic wrangling have produced few results, leading to the emergence of two camps: those who want even tougher sanctions, and those who want a military strike against Iranian nuclear facilities. Neither of these options will stop Iran from acquiring the capacity to build nuclear weapons. The diplomats, led by the United States, point to the effects that the current sanctions have had on Iran’s currency, inflation rate, and oil production. Iranians are certainly feeling the impact on their lives. But is the regime? Not really. Many countries won’t enforce the oil sanctions (including China), which leaves Iran with more than enough customers to sustain its government. Iran has been under sanctions before, and the regime is quite adept at weathering the storm. As with any authoritarian system Iran is concerned about preserving the regime, not about the people of Iran. As long as sanctions don’t lead to an uprising that threatens to violently overthrow the government, they will endure them. Sanctions that inflict some pain on the citizens of Iran would work quite well in a democratic system, but will have little effect in an authoritarian one. A military strike by the United States or Israel is becoming increasingly likely. At some point Israel will have to make a decision about whether to bomb Iranian facilities before Iran begins building them so deep underground that Israel’s bombs cannot penetrate. Given domestic politics in Israel, Netanyahu’s history, and the stakes – Israel’s very survival – they aren’t going take a back seat on this issue. There will be two consequences of bombing Iran. First, the nuclear program will be set back by a few years. Second, Iran will surely bury their new facilities deep enough underground that not even American weapons can destroy them. Iranian leaders have a history of acting irrationally. During WWII Reza Shah stubbornly refused to allow supplies to be shipped to Russia through Iran, and Britain and Russia were forced to invade the country to use the railroads. In the 1950s, Prime Minister Mosaddegh nationalized the oil industry despite the certainty that the British and American response would be harsh; two years later he was overthrown in a British-American orchestrated coup d’etat. The taunts, threats, and public statements of defiance from the current regime suggest that little has changed. Part of the reason for the stubbornly defiant attitude of the regime is Iranian culture and national psyche. 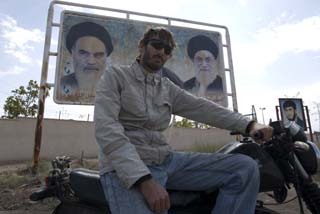 During my travels by motorcycle in Iran I was struck by the undercurrent of a superiority complex in the society. I hadn’t been in the country for long before I heard talk of Iran’s Aryan ethnicity, their superiority to Arabs, and a proud heritage dating back thousands of years. Add to this the megalomania of authoritarian rule and a belief that compromise projects weakness, and most rationality goes out the window. Even if Iran wanted to act rationally, its leaders may lack the necessary information to make rational decisions. The Supreme Leader of Iran, Ayatollah Ali Khamenei, doesn’t take criticism well (the regime sentences critics to imprisonment or death); it is unlikely his inner circle is vocal in challenging his decisions or being the bearer of bad news. The information that does seep through to inform his decisions probably isn’t even accurate given the general incompetence of authoritarian governments, especially Middle Eastern ones. Despite all the signs that Iran doesn’t act rationally, their central motivation for acquiring a nuclear weapon is rational. Nuclear weapons are the only way to protect the regime against external threats. Nukes are the ultimate deterrent against Iran ending up like its neighbors Iraq and Afghanistan. There is also an element of Persian pride at work. As one of history’s great powers, Iranians believe that their country deserves to be a member of the nuclear club, and the public supports the pursuit of nuclear technology. How do you deal with an irrational regime run by religious fanatics with a cultural superiority complex and a history of bad decision making? You don’t. Negotiations with Iran have produced little in 10 years. Nuclear weapons have been around for 70 years – any nation that is determined and resourceful enough can acquire them. It is inevitable that Iran will develop the capacity to build nuclear weapons, barring a persistent campaign to repeatedly bomb every underground facility that Iran attempts to build in the future (which neither the US nor Israel will have the stomach for since it would be illegal under international law). This leaves only one option: remove the regime. The US and EU must place the toughest possible sanctions on Iran and pull every diplomatic lever to get the international community to enforce them. This will cause widespread dissatisfaction among many of Iran’s 75 million citizens as inflation coupled with unemployment makes life under the regime unbearable. The covert war between Israel and Iran should continue, and the target list expanded beyond nuclear facilities and assassinations of nuclear scientists. Numerous covert actions, including sabotage of prominent government facilities in full view of the public and the exposure (or manufacture) of regime corruption and misdeeds must be undertaken to make the regime look weak, vulnerable, and incompetent in the eyes of the Iranian people. Support should be given to Iranian opposition groups and a PSYOP campaign waged to show the Iranian people how dramatically life will improve in a post-revolution Iran. Over 60% of Iranians are under 30 years old, and the number of Iranians on Facebook is estimated to be several million. The literacy rate in Iran is above 80%. The majority of the population was born after the Islamic Revolution and do not identify with the regime the same way their parents did. Mobilizing them through covert action should be a top priority. A military strike against Iranian nuclear facilities that lacks the steps to encourage regime change is a short-term solution that will need to be repeated again in the future. However, a military strike that is coupled with a comprehensive, long-term campaign to incite a revolt in Iran will signal to the Iranian people how incompetent the government of Ayatollah Khamenei really is. The overthrow of Bashar Assad in Syria will further isolate and weaken Iran, and if the conditions are right when that happens, the Iranian people may take it as a sign that the time for their own revolution has come. 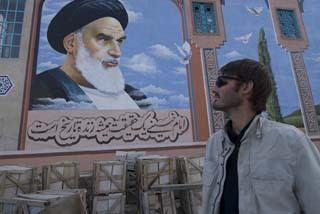 The potential for popular uprising is already present in Iran, as evidenced by the Green Movement in 2009. Sanctions and military action must be part of the larger strategic goal of regime change, not temporary fixes to set the Iranian nuclear program back by a few years. The seeds of revolution are still present in Iran, and they’re not buried too deep. With encouragement the Iranian Spring will come. This entry was posted in democracy, Iran, israel, regime change, war and tagged nuclear, nuclear weapons, sanctions by matthewvandyke. Bookmark the permalink. Overall this item seems on the mark. While I do not agree the Iran government is irrational, they do make poor decisions and Iranian society exhibits an unfounded arrogance. Nuclear weapons are not easy to obtain, they are quite expensive and put a significant drain on the economies that are supporting nuclear weapons arsenals. Military strikes will be far less effective than suggested in the press, and do not offer any real threat to the program. They do offer a threat to the regime, as people will see that the vast sums consumed by the military and revolutionary guard are not buying much protection. This might cause Iranians to ask “where’s the meat?” when it comes to the current regime. Military strikes are unlikely to have much impact on the pursuit of nuclear weapons, no matter what the make-up of the regime in Tehran. I tend to agree with the sentiments here. 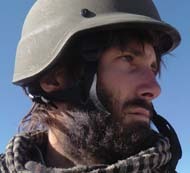 However, I recently heard one Iran expert say that he believes the superiority attitude that you allude to extends to the entire population, and even if the Mullahs are taken down and replaced with a more rational actor, that same spirit of Persian pride will result in the new regime continuing to pursue nukes. Thoughts? If a new Iranian regime was less Imperialist, i.e., not sticking their nose into Lebanon, Syria, and Israel, their acquisition of nuclear weapons would not be so dreaded. If there’s going to be a regime change in Iran, it must come from within. As VanDyke himself stated, Iranians are a proud , even superior people, and would not appreciate foreign interference in domestic matters.